Now is a Time for Heroes! Become a hero. Perform mighty actions and recruit powerful champions to your cause. 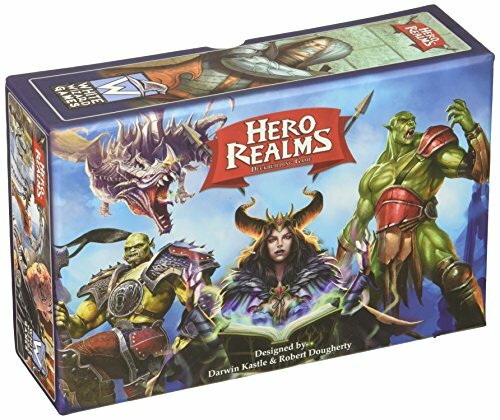 From the makers of the award-winning Star Realms, Hero Realms combines the fun of deckbuilding games with the interactivity of trading card game-style combat. As you play, use gold to add new actions and champions to your deck. When played, those actions and champions generate powerful effects, give you additional gold, and damage your opponent and their champions. If you reduce your opponent's health to zero, you win! Report Duplicate Game, Price Issue, Etc. These links have affiliate codes which support BGA financially. 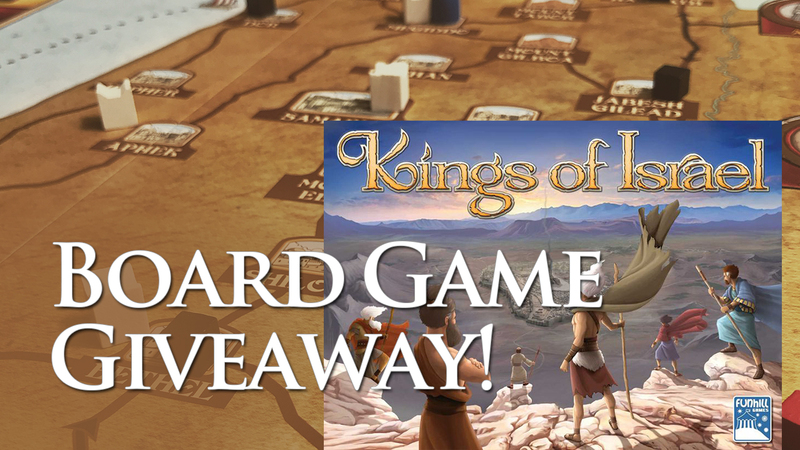 Enter to win a copy of Kings of Israel. Watch the teaser video and leave a comment on the forum post by 4/22 to enter! Issues can include a duplicate database entry, wrong price shown, or any other information issues that can't be resolved by editing the game page. Promote community contributions! It can be your own video or a video by someone else. You are not logged in. Your IP Address will be publically visible with any edits you make. Log in or sign up for an account to have your edits logged under your username instead. There was an issue adding the video. Please try again later. Help create a better connected game database and link to an expansion to this game. There was an issue adding a link to the expansion. Please try again later. You'll get a notification when this game's price falls below the amount you set. This feature is only for US prices currently. You need an account to setup price alerts. Log in or sign up to be able to create and modify price alerts. There was an issue adding the price alert. Please try again later. Make a record of each time you play the game! There was an issue logging the play. Make sure you're logged in and try again later. Share the game with others with these links or use the code below to embed a game widget on your blog or website. What did you think of the game after playing it? There was an issue saving the review. Please try again later. Promote community contributions! It can be your own review or a review by someone else. There was an issue adding the review. Please try again later.